Readers of a certain age (i.e. those who are beginning to get a bit long in the tooth, like me) may remember the original version of The Magic Roundabout, in which, among other lovable characters, a rabbit called Dylan (who was very long in the teeth) spent much of his time asleep, periodically waking up and saying things like, “Crazy, man!” and falling asleep again. He may say more in the recent re-working of the series, but I haven’t seen the newer version. Anyway, London Mining Network’s dealings with UK regulatory authorities reminded us of both Dylan the rabbit and the roundabout itself. Last week, I was giving evidence on LMN’s behalf to a parliamentary inquiry into British extractives companies. The inquiry is being undertaken by the cross-party House of Commons Select Committee on Business, Innovation and Skills, which keeps an eye on the work of the Department for Business, Innovation and Skills (DBIS) and makes recommendations to it from time to time. LMN welcomed this inquiry when it was announced last May and submitted written evidence last autumn. We were really pleased to be invited to present oral evidence as well. At last, some official body was willing to listen to what we have to say! The experience of trying to get someone to listen was what reminded us of the Magic Roundabout – or at least of a roundabout, even if it isn’t magic. In early 2012 we published a report on the need for stricter regulation of UK-listed mining companies, because of the terrible environmental, social and human rights impacts of many of their operations. This was intended as a contribution to debate on the Financial Services Bill which was being discussed at the time. That Bill was replacing the Financial Services Authority with the Financial Conduct Authority as the body with responsibility for ensuring that companies listing on the London Stock Exchange act according to some basic standards. We thought this would be a good opportunity to ensure that the new body took account of companies’ environmental, social and human rights impacts. Inspired by this suggestion, our friend John McDonnell MP proposed an amendment to the Financial Services Bill. He spoke about it in debate on 22 May 2012, but the Financial Secretary to the Treasury, Mark Hoban MP, would not accept the amendment, saying that this was not the right Bill for this sort of thing. He suggested that London Mining Network meet with the Minister at DBIS responsible for corporate governance. John spent a long time trying to arrange a meeting for us, and then the responsible Minister was changed and the trail went cold. In a debate about British mining companies held on 28 November 2012, John asked Jo Swinson MP, the Parliamentary Under-Secretary for Business, Innovation and Skills, to meet with him and LMN, but nothing came of it. Discouraged by the apparent impossibility of actually meeting with a Minister, and as Mark Hoban had suggested that we write to the Financial Reporting Council with our concerns, we did so, in February 2013, but we never got a reply. So in April 2013, we tried writing to the Financial Conduct Authority, saying that they need to exercise stricter control over companies listed on the London Stock Exchange or trading on its Alternative Investment Market (AIM), to prevent environmental destruction, negative social impacts and human rights abuses. They DID reply – to the effect that, with respect to the London Stock Exchange, they could only act within the powers given them by the Government, and could therefore not take into account the kind of issues that concern us. The implication was that, if we think they haven’t got sufficient powers, we should take it up with the Government. As for AIM, well, goodness, THAT’s regulated not by the FCA but by the London Stock Exchange (but surely, YOU regulate the Stock Exchange…?) so if we had concerns about AIM, we should write to the Stock Exchange. So we wrote to the London Stock Exchange. We didn’t bother complaining about the behaviour of companies listed on the London Stock Exchange itself, as we now understood that the Exchange would be ENTIRELY unable to do anything about THEM, given that THAT’s the job of the FCA. No, we restricted ourselves to declaring what a rum bunch of companies trade on AIM, and that it’s high time the London Stock Exchange did something about it. Well, what an absurd suggestion THAT was! The London Stock Exchange explained to us (carefully, because we are clearly VERY slow) that they can only enforce the rules of AIM, which deal with disclosure of certain information and aim to ensure orderly markets for investors. They can’t go worrying their heads about things like forced displacements of communities, loss of agricultural livelihoods, pollution of air and water, assassinations of mining opponents or violation of Indigenous sacred sites. It’s more than their job’s worth. Presumably, if we don’t like that, we should contact the Government. Ah, but I fear I can guess what THEY might tell us to do – and we would just start the whole merry-go-round all over again. Except that it isn’t very merry. It involves the death and intimidation of people that we know, and the loss of their livelihoods, and the destruction of the lands that they love, and the breaking of their hearts. If this roundabout is magic, it’s magic of the Voldemort variety, not the benevolent, Harry Potter sort. And ALL the UK regulatory authorities – DBIS, the FRC, the FCA and the LSE – are behaving like Dylan the rabbit, asleep on the job, waking up from time to time (like when Bumi’s financial misdeeds became so blindingly obvious that the FCA could not avoid an investigation) and saying “Crazy, man!” before falling asleep again. So let’s hope the MPs on the Select Committee for Business, Innovation and Skills, who actually took the time to listen to us (and to Christian Aid, and WWF, and to one of our member groups, WDM) come to the conclusion that mining (and oil, and gas) companies listed on UK investment exchanges really DO need to be more strictly regulated, and that whatever recommendations they make to that effect get acted on by Government. 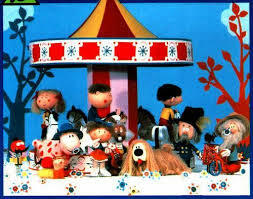 At the end of every episode of The Magic Roundabout when I was a lad, the spring-loaded, moustachioed Zebedee would spring down from the sky and say, “Time for bed!” before springing away again. But now we need to make clear to those with responsibility for regulating UK-listed mining companies that it’s NOT time for bed – it’s time to wake up and take their responsibilities seriously for a change. 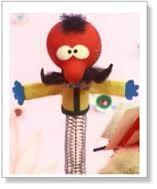 “NOT time for bed,” said Zebedee. You can read LMN’s written submission to the Select Committee inquiry here: Final submission to BIS inquiry September 2013 referenced.